Don't deprive your hair of TLC for too long when it needs the #TripleKeratin treatment. Do you often feel that your hair has a life of its own? If you’re longing to transform your wild and unruly or dull and damaged locks into shiny, frizz-free hair—you know, what hair commercial dreams are made of—a keratin treatment might just be what you need. In case you don’t know, keratin is the protein that makes up our hair. Frequent coloring or chemical treatments, over-styling, and environmental aggravators can cause keratin to wear out, creating gaps in the hair cuticle that eventually lead to breakage and damage. When this happens, salons do keratin treatments to infuse each strand with protein fiber, bringing life back to hair and leaving it stronger, shinier, straighter (but not pin-straight), and more manageable. Check these signs to find out if your hair needs a dose (or two, or even three) of keratin. 1. Your hair has lost its elasticity. Healthy hair doesn’t break easily when stretched. You can test your hair’s elasticity by spraying water on a few strands and pulling to see if they will spring back without breaking. 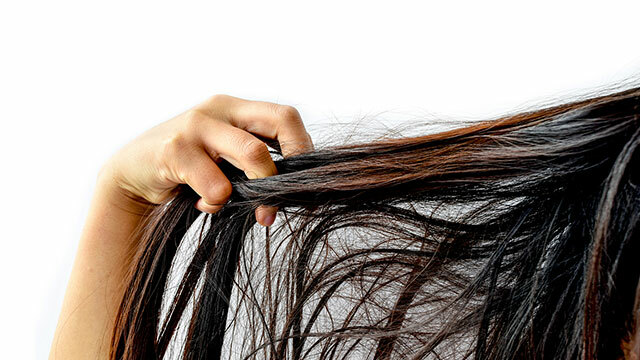 Hair that breaks when you stretch it needs a keratin boost. 2. Your hair is stringy. Healthy hair is full and bouncy, so having limp locks should make you worry. Lank and lackluster hair is a sign of keratin deficiency, which means you should go and get those strands revitalized, stat! 3. Your hair is frizzy. We’re all too familiar with frizzy hair, especially since we live in a country that serves us humidity for breakfast, lunch, and dinner. But if you notice that your hair is more frazzled than usual, it means that your strands have become highly porous that they absorb too much moisture, causing them to frizz and even tangle. 4. Your hair feels sticky. It’s never a good sign when your hair feels like it was stuck to a half-eaten lollipop overnight. 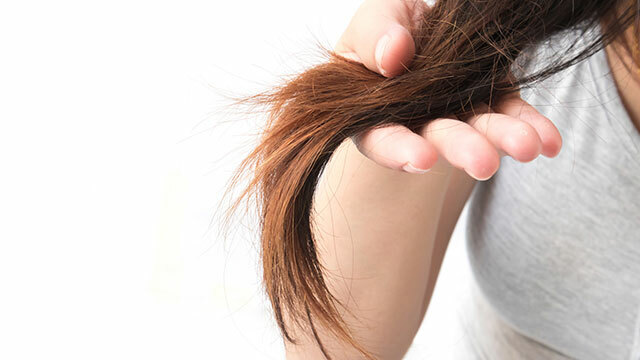 Gummy or sticky hair is a telltale sign that your hair has too much moisture without enough protein for support. 5. You’re experiencing increased hair fall. Does it seem like you’re shedding more hair than your pet chow chow? Losing up to 100 strands a day is normal—but only if you’re losing hair from the root, which is characterized by a white bulb at the end. 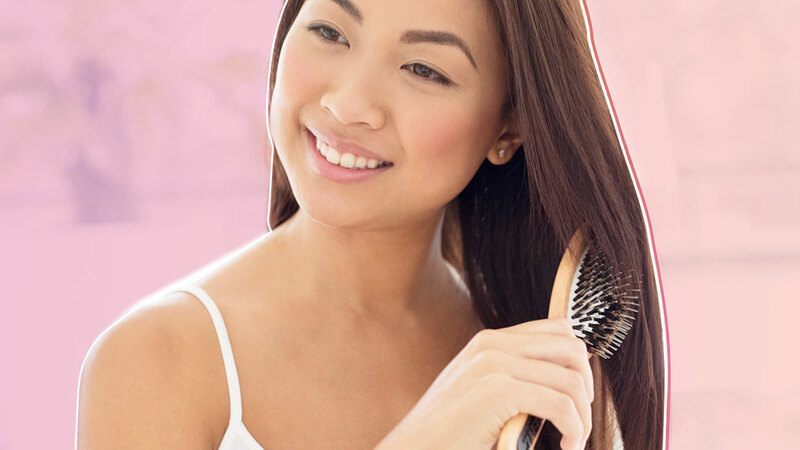 Bulb-free strands on your brush or your pillow indicate weak, brittle hair. You can give yourself a keratin treatment at home with Cream Silk Triple Keratin Rescue Conditioner, an innovative hair therapy packed with the benefits of triple keratin: Keratin Frizz Relaxers for taming rebellious frizz, Keratin Serum for reviving hair health, and Keratin Shine Essence for restoring shine—clearly a keratin treatment you need, since it has three times more keratin than other Cream Silk conditioners. Available in two variants—Ultimate Straight for rebellious, frizzy hair, and Ultimate Repair and Shine for dull and damaged hair—Cream Silk Triple Keratin Rescue Conditioner allows you to tame and transform your locks in the comfort of your own shower. #UltimatelyBeautifulHair achieved. Cream Silk Triple Keratin Rescue Conditioner is available on Lazada. For more information, follow Cream Silk on Facebook and Creamsilk.com.ph/ultra-conditioners.